At 6’5" and 260 lbs. we can see why. Celebrities are some of the few individuals in the world that can actually afford outrageous supercars. "Ballers" star Dwayne (The Rock) Johnson recently posted a couple of pictures on Facebook of incredible supercars, but stated that he couldn’t fit into the vehicles. At 6'5" and 260 lbs., the former WWE star isn't what we'd call short or average-sized by any means. But his dilemma sounds like a terrible nightmare. The two supercars in question were the Ferrari LaFerrari and GTA Spano. “The great benefit of producing and starring in HBO’s Ballers is that I can admire, touch and play with this Ferrari which is one of the most beautifully engineered and sought after exotic cars in the world. The drawback…? Daddy don’t fit in it,” stated Johnson. 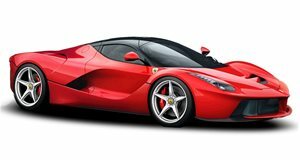 Since the LaFerrari has custom seat pads that are made for a specific customer in mind, it’s not surprising that the muscular star can’t fit into the supercar. But Johnson’s bad luck continues with the Spano. “Even though my character can’t fit (literally) in this beauty, as our show’s Executive Producer I’ll take full credit for featuring her properly,” said Johnson. Getting access to these supercars and not being able to fit looks like torture to us.